I held off joining facebook for the longest time. It sort of seemed weird to me, ask someone to be... my friend? Seriously? Wasn't that a little primary school? I only ended up joining when my ex sent me an email in early 2008 to say that an old high school friend had put up photos of me and emailed me them. Then I sort of figured if there were ancient photos of me wearing high heeled jelly shoes I probably wanted to be one of the first people to know they were floating around on the interwebs. And honestly, joining was probably one of the best things I had done. I reconnected with so many women from high school. My old clique sort of reformed with all of us with children similar ages. And we added women that we had gone to high school with but not really hung around. And women we hadn't gone to school with but are just so darn cool we had to hang out with anyways. I'mso lucky to have such amazing women as my friends. One of the women I reconnected with a few years ago - and actually the culprit for putting up the photos in the first place - was my good friend Melitta. If anyone is a long term follower of the blog you might remember I shot Melitta and Justin's wedding almost 2 years ago. And they've since gone on to have a beautiful daughter who is just 7 weeks older than Evie. Scarlett is Justin and Melitta's last child and their only daughter so I think you can imagine how doted on she is by both parents and her older brothers. 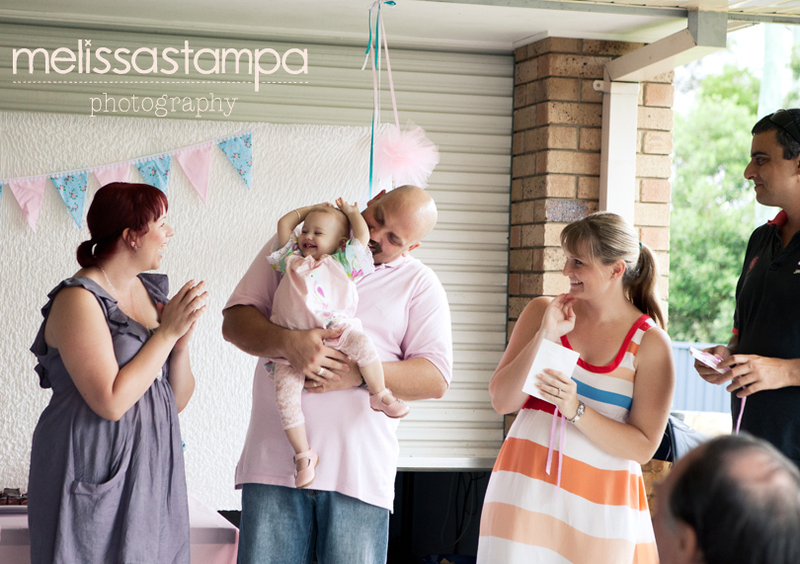 On the weekend Scarlett celebrated her 1st birthday and dedication ceremony. Melitta planned Scarlett's party around working 2 days a week and doing 3 uni subjects (wow) as well as looking after her 3 kids and doing all those things that being a mum entails. 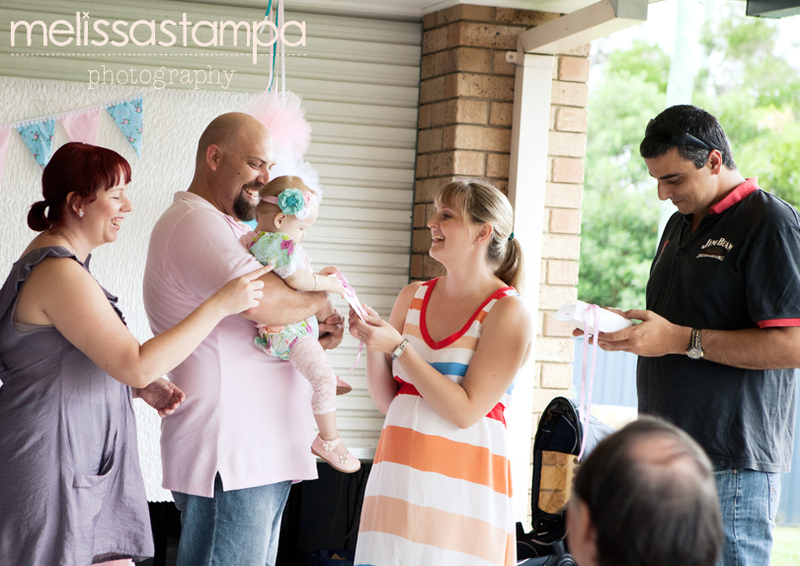 Still, Scarlett had a gorgeous pink and aqua themed party to match her gorgeous LaLaiLeh dress that her Daddy managed to snaffle for her - SKILL! 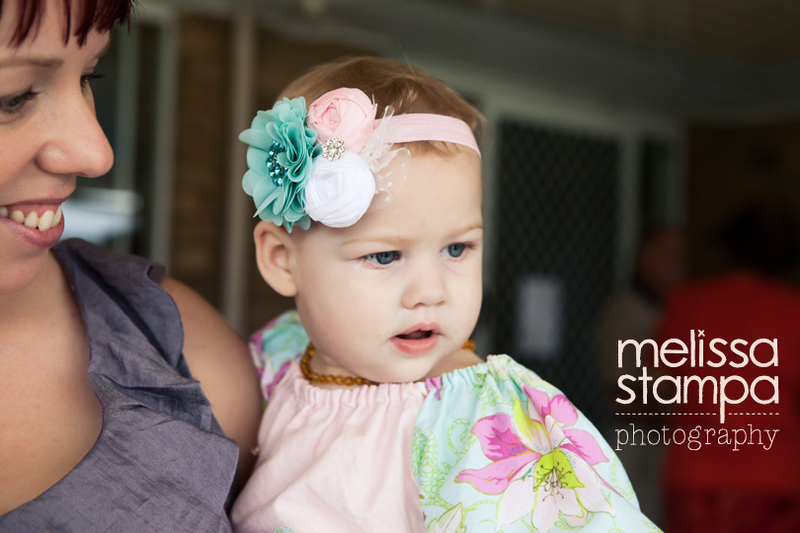 Petite Bling created the headpiece to match and Scarlett Rose rocked the outfit. 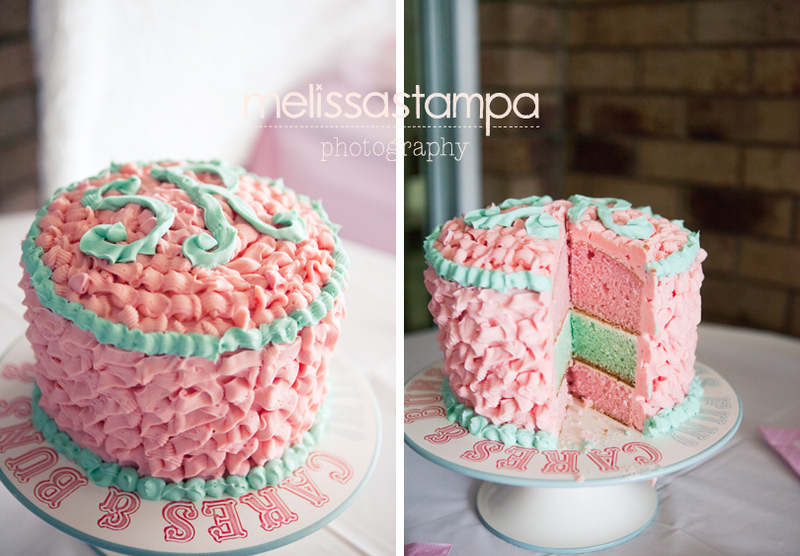 There were pink and aqua jellybeans, coconut ice, peppermint slice with aqua filling, cherry ripe slice and other goodies to fit the theme and Melitta and SR's godmother Naomi put together a totally awesome ruffle cake. In perfect cake harmony - :-P - Melitta made the cake and icing and let Naomi, an artist, do the decorating. nawww, happy birthday Scarlet Rose. Such a beautiful party and a beautiful collection of images. Gorgeous little person she is too!